Unlike a regular lime tree, its leaf actually resembles two connected leaves. 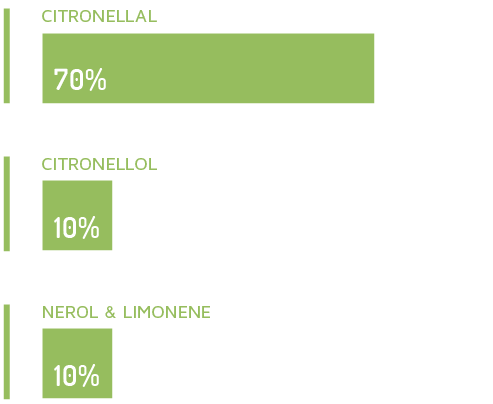 The leaves have a very strong, characteristic fragrance that cannot easily be substituted by other spices or even from oils extracted from other plants in the same family. 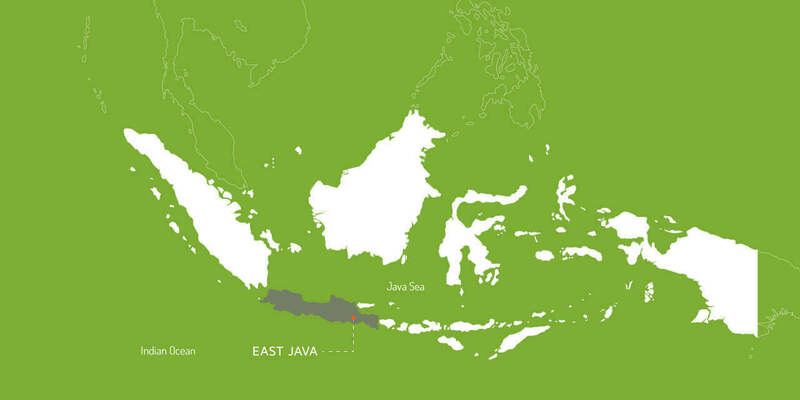 A brief insight into the Kaffir Lime Oil Industry in Indonesia. 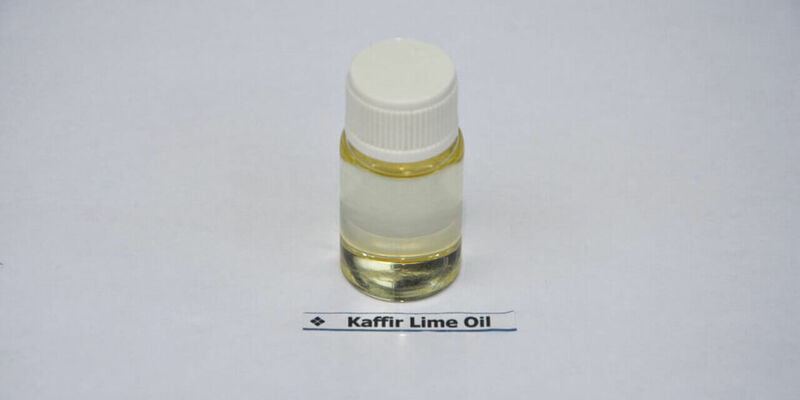 In comparison to some of the other Indonesian essential oils like Patchouli Oil, Clove Oil and Nutmeg Oil; Kaffir Lime Oil is only dealt with, and exported in small quantities. The export quantities lie in the range of 2 to 3 Metric Tons, and tend to remain stable with little or no fluctuation in quantities or prices. 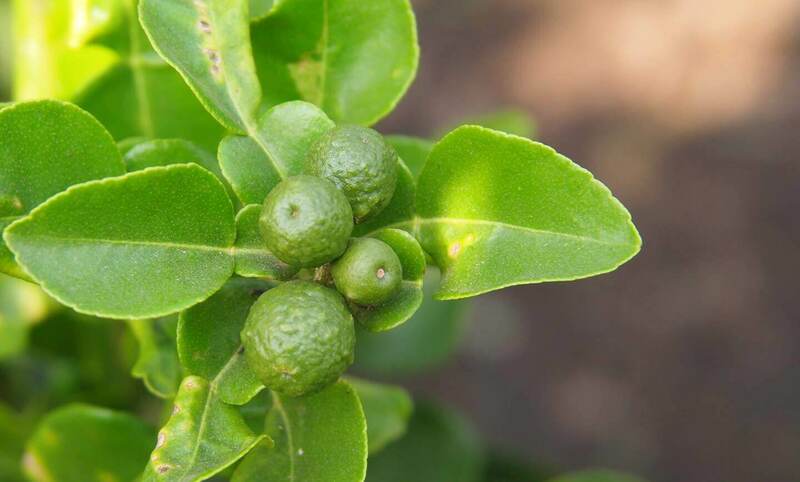 How do we get our Kaffir Lime Oil ? 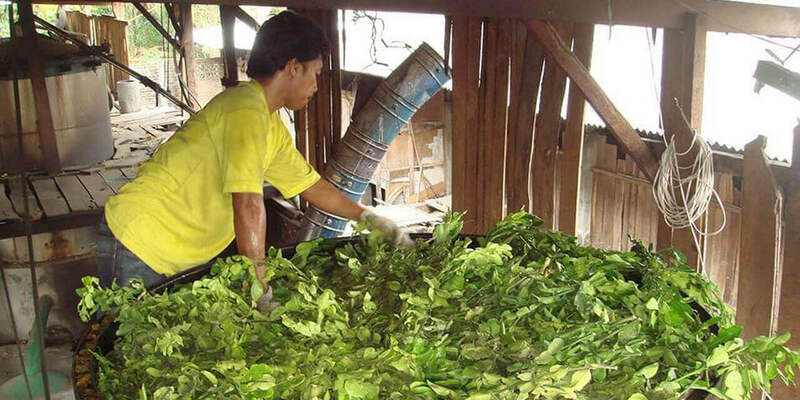 We get all our Kaffir Lime Oil from local Indonesian farmers and accumulators who harvest and process the crop through steam distillation to produce a crude form of Kaffir Lime Oil. 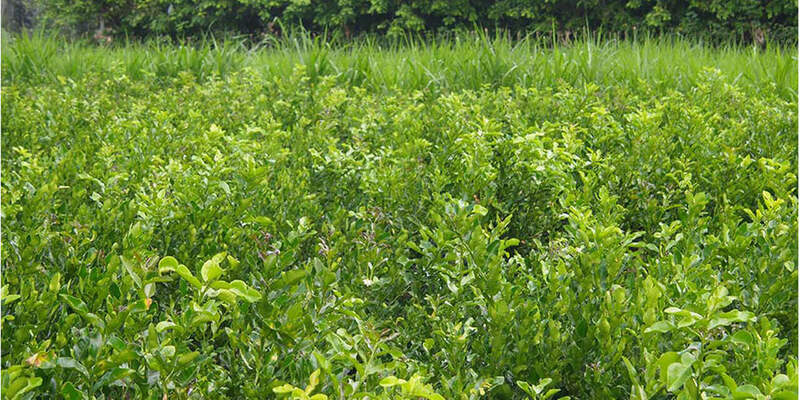 Kaffir Lime seedlings are planted in warm, temperate spaces. Leaves should be clipped often to ensure proper growth. On reaching maturity, the leaves are plucked and sent for distillation. 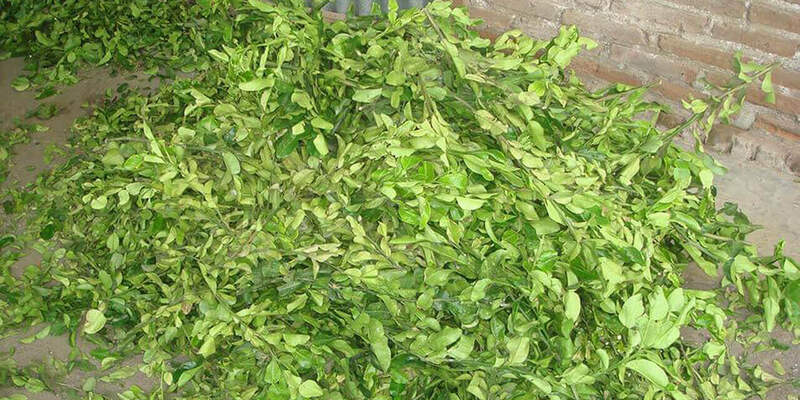 Fresh green leaves of the Kaffir Lime tree are steam distilled to obtain oil.